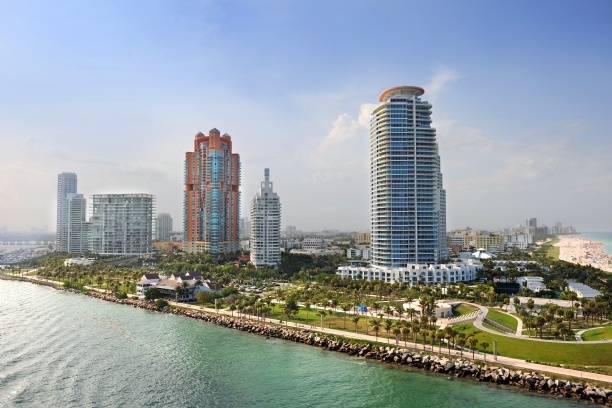 In Miami we have had an incredible year of growth with an ever shrinking supply of condos and homes and continued demand from international and domestic buyers. Throughout last year the mortgage rates were at record lows and buyer incentives were high. 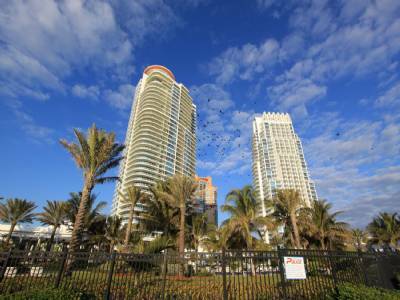 In Miami, investors and home buyers found themselves in bidding wars over properties and this mad scramble reduced the inventory significantly. Home prices in both the condominium and single family home markets are up in the double digit percentage points and builder confidence is so high that we have over 60 new developments under construction in South Florida. Some believe that we are looking at another housing bubble, however most economists consider this to be a bonified recovery. Here are some factors to consider. Inventory. Across the nation there is a considerable shortage of inventory, no more acutely felt than in the Miami single family home market. The condominium market will have a price adjustment due to increase of inventory with new developments, which will have an effect on the prices of single family homes, which will be one factor to watch. Affordability. Homes values have increased with the reduction of inventory and the reduction of distressed homes on the market. As the inventory shrinks, home prices can be inflated with lack of comparable properties, making some homes too expensive and over valued, which will slow the selling pace. It will be important to watch the affordability and buyer actions resulting from price increases, to judge the demand accurately. Investors and Individual Buyers. Investor Behavior is integral in the recovery. As prices increase, investors will slow their buying. This will leave homebuyers purchasing with financing. The way this process unfolds is important to watch since it will give some indication on how reliable the recovery is. Gindi Family and Nakash Family of New York were the winners of the auction for Casa Casuarina this morning. Bidding started at $25 million and the winning bid was $41.5 million. The next highest bidder was Donald Trump with a bid of $41.5 million. 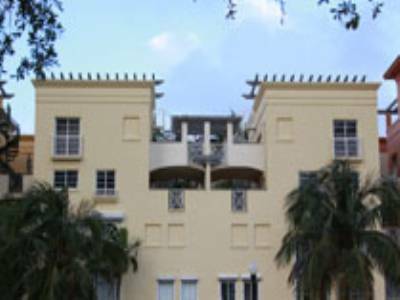 Other bidders included Glenn Straubb, the owner of the Palm Beach Polo Club. The estate was originally listed at $125 million and then reduced to $100 million, and most recently, $75 million. The new owners are an LLC which also own the neighboring Victor Hotel. They announced that they intended to petition to use the Versace name and use the property as an adjoining hotel to the Victor. Peter Loftin was the most recent owner, who used the property commercially as the Villa at Barton G. It is zoned for both residential and commercial use. This was one of the most highly anticipated auctions in Miami Real Estate history. Congratulations to the new owners! 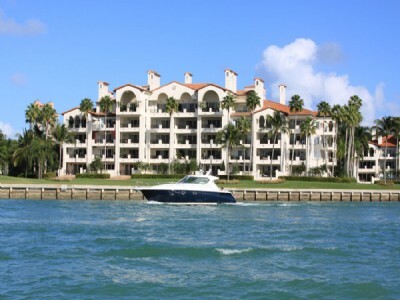 Fisher Island is home to some of the highest net worth individuals in Miami. It is a private island that is accessible only by ferry and has its’ own schools, shops, restaurants, and full golf course, tennis club, and fitness pavilion. Residents enjoy private beaches and the ultimate in luxury all over the island. For more excitement, South Beach is just a small ferry ride away with direct access to all that South Beach has to offer. 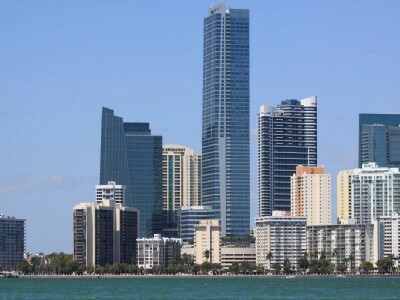 The Miami International Airport and Downtown Miami are also just a short drive upon disembarking from the ferry. There are a number of real estate opportunities on Fisher Island from luxury condominiums to townhoomes to a select number of bungalows. Our featured skyhome is not in any type of traditional Mediterranean style that one would find on the island. This massive penthouse is eclectic and avant garde with the most rare finishes in existence. 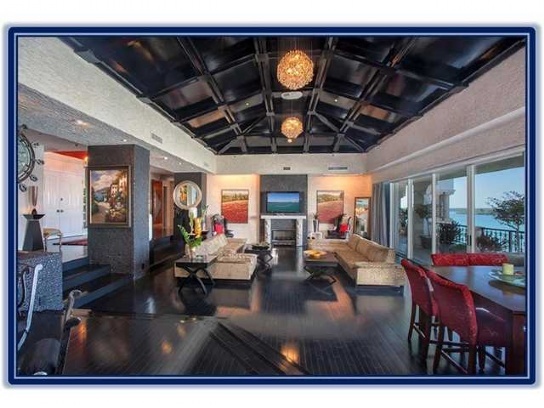 5302 Fisher Island Drive is a 7,400 square foot home with 5 beds, 4 baths, and 2 half baths. It has soaring 19 foot ceilings, family room, office, 5000 square feet of terrace space, 4 parking spaces, and top of the line kitchen. It has dark woodwork and completely lavish and often gold leaf interior work. The custom marble work alone is easily in the hundreds of thousands and it has water views from nearly ever room. It is listed at $7.395 million. For more information on this home and others, contact us today. 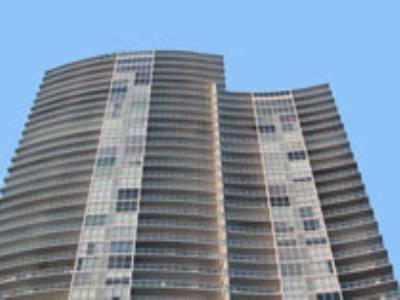 6000 Indian Creek is a Sieger Suarez project that was completed in 2007 and consists of a 25 story building with onlt 35 residences. Residences in this building enjoy incredible views of the La Gorce Golf Club, Biscayne Bay, Atlantic Ocean, and Downtown Miami Skyline. The floorplans are open and offer views from nearly every room. Kitchens are all top of the line with miele appliances, granite countertops, and imported cabinetry. Baths are all in full marble. The building is striking due to the green blue glass that was used in construction, and the resale value in the building holds up to the competition. 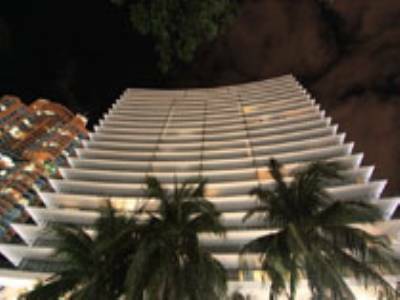 The neighborhood 6000 Indian Creek is located in is known as Millionaire’s Row and it is one of the most stable and safe areas in Miami Beach. The Beach’s in this neighborhood are not crowded and there are wonderful independently owned restaurants and boutiques lining this area of Collins Ave. 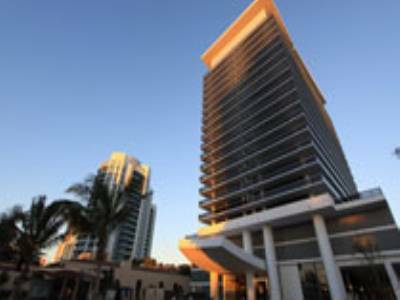 The 195 via Alton Road provides access to 95 and downtown Miami as well as the Miami International Airport. 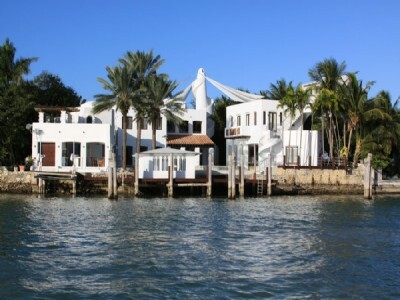 Bal Harbour Shops are only a 5 minute drive down Collins, and the Design District shopps are also a quick drive up 195. 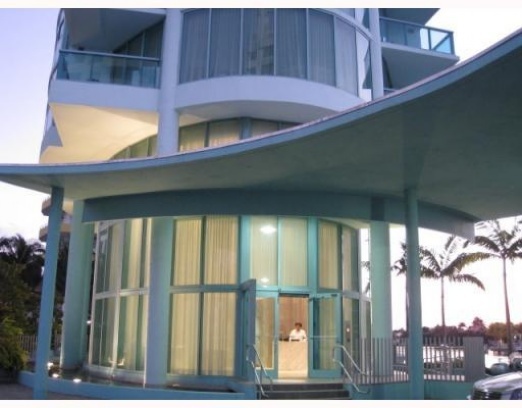 This area is truly one of the hidden gems in Miami Beach, and this building is an excellent place to call home.